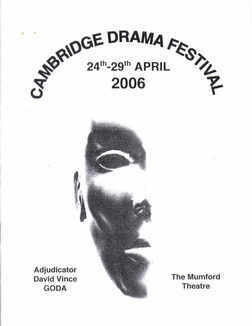 "The Last Bread Pudding" was the CADS submission to the 2006 Cambridge Drama Festival, where it won the Audience Appreciation Award. Kathy Wholley won the award for Best Cameo Performance. The play had been entered the previous year for the Haverhill Drama Festival with a slightly different cast and a different director.